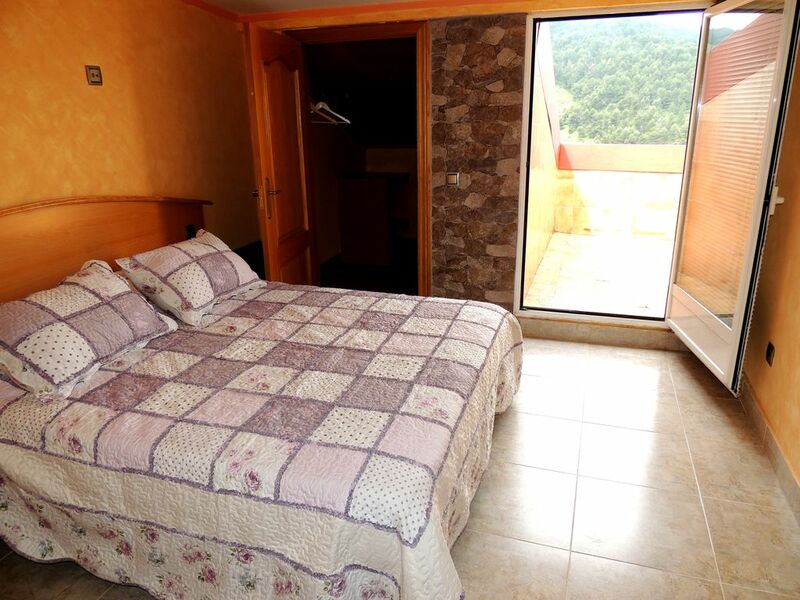 Rural mountain lodge in La Rioja, Rio Oja with capacity 2/3 people. Oja River to the apartment, which gives a special value that terrace is accessible through the living room and bedroom overlooking the Iregua valley and the castle, a luxury for lovers of nature, Room 150 bed with access to the terrace overlooking the castle where you can enjoy a quiet dinner outdoors. It consists of fully equipped kitchen. The living room with access to the terrace and sofa bed 135.